“When you touch need you touch success. It Is About The WHY And Not The WHAT”. 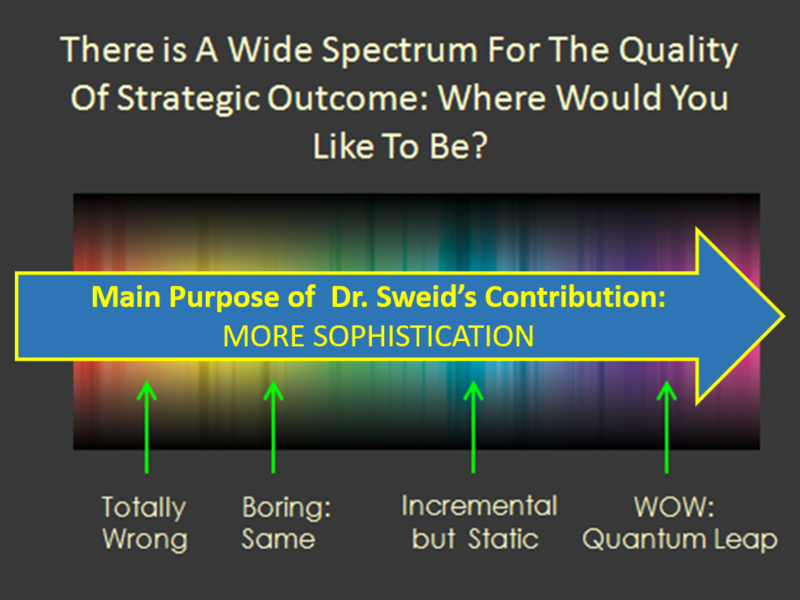 As with everything else, there is a wide spectrum of possible outcomes from a strategy formulation process, and it is mainly about ideas at this stage: Starting from the wrong strategy, going to boring stuff, only incremental and static, and ending up with the WOW quantum leap at the other extreme! 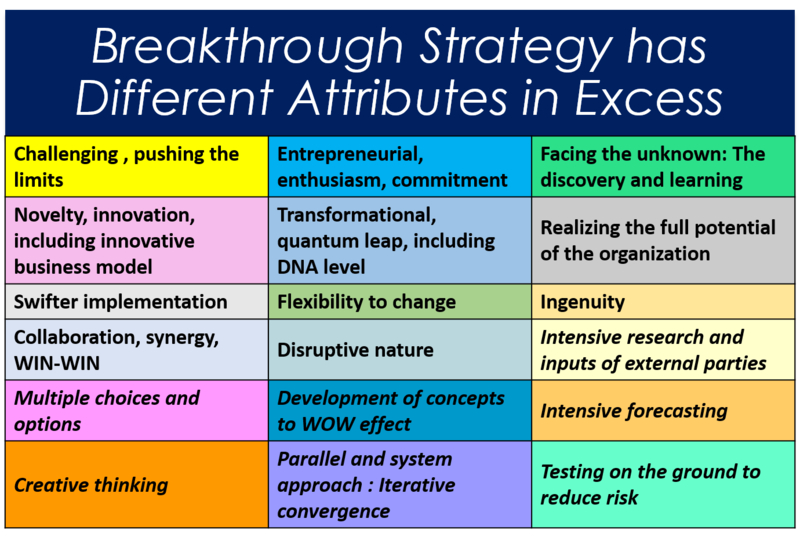 Breakthrough strategy is about a quantum leap change in your business, with big, radical and innovative transformation, even on the DNA of the business, its core competencies. It is all about sophistication and peak performance. Breakthrough strategy has become a must in our era of disruptive innovations and extra rapid changes. You need to transform yourself and your strategy team before embarking on a strategy formulation exercise. You need to prepare different tools and mindsets. The right mindsets should be in place in the team. Mindsets are essential when talking about sophistication and peak performance.